Binance, the company widely seen as the world’s largest crypto exchange, has officially set up shop in Singapore after it launched a service in the country. The new Singapore service, however, bears more of a resemblance to U.S. rival Coinbase than a classic Binance exchange. Binance’s rapid ascent is thanks to a service that lets users trade a range of crypto tokens with very little verification or individual data required. It’s Singapore venture is quite the opposite: it allows customers to purchase Bitcoin only and at fixed prices. Initially, it appeared that purchased Bitcoin could not be moved out of the exchange at this point but that issue seems to be fixed now. We checked in with Binance for more details, but the company is yet to respond. 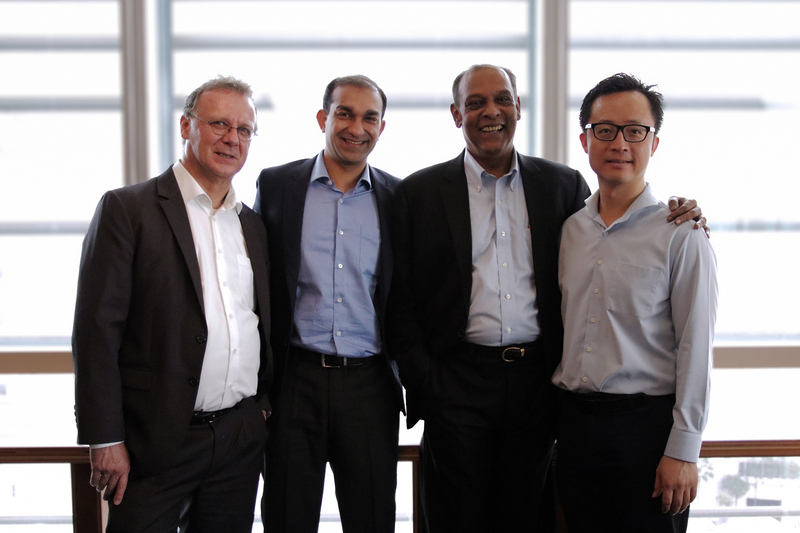 Binance’s Singapore launch follows an investment from Vertex, a VC firm backed by Singapore’s sovereign fund Temasek, in October. Binance has been testing a ‘beta’ version of its service in the country since late 2018 in communication with Singaporean regulator MAS. The company has prioritized creating fiat ramps — exchanges that allow customers to buy into crypto using currency — over the past six months as it seeks to gain increased legitimacy and play within regulated jurisdictions. CEO Changpeng Zhao has also stressed the importance of going beyond retail customers to reach institutional money and enable it to enter crypto. As a global financial hub, Singapore is its biggest effort on fiat to date. 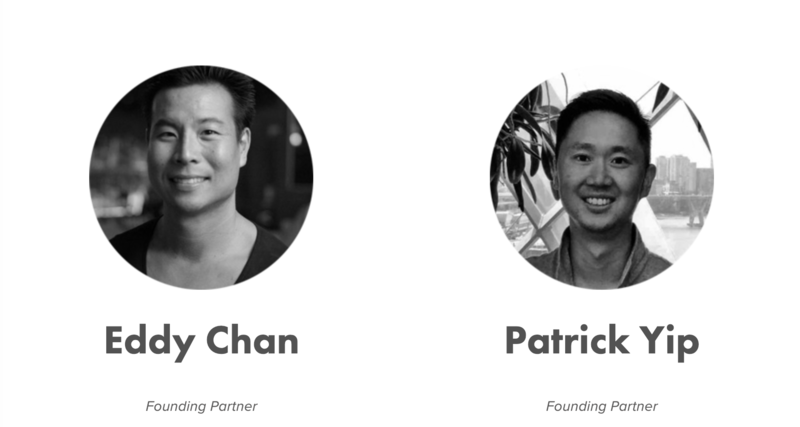 The Singapore venture is Binance’s third fiat effort following exchanges in Uganda and Jersey — a joint-venture in Lichenstein is yet to launch — although it remains to be seen just how useful the Singapore offering will be in its current form. Binance users have long been accustomed to a choice of a vast array of crypto assets on sale, but the Binance Singapore exchange falls short on that count, despite considerable expectation for its launch. 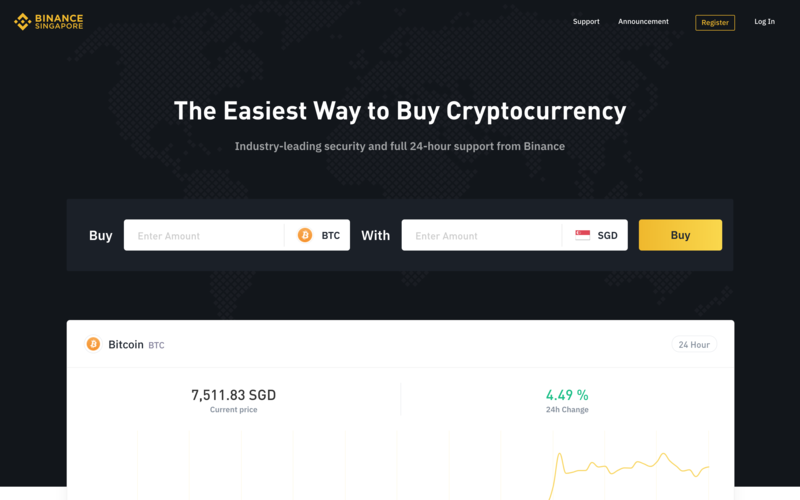 Interestingly, information on the website indicates that the new Binance venture appears to be a partnership with Xfers, a crypto startup in Southeast Asia that helped Coinbase set up its service in Singapore. Coinbase ended the partnership and quit the country last year claiming that Xfers was “not suitable in its current form to handle the growth” it had seen. Let’s see how Binance gets on. Meanwhile, the company made another significant announcement after it officially launched its decentralized exchange, also known as Dex — its other major priority besides fiat. There are no initial fireworks here — the Dex doesn’t yet include trading pairs or native tokens — but the launch means that blockchain companies are now able to migrate from Ethereum, EOS or other blockchains and begin to issue tokens on Binance Chain. A Binance spokesperson confirmed that the first of those migrations are expected to happen this week. The first is Binance’s own BNB token, which is moving from ERC20 to BEP2. The Dex has been in testing since February, during which the company said that some 8.5 million transactions have been made. The real test will be when projects begin moving over and (if) traders begin to utilize the platform in large volumes going forward. Binance has always claimed that its Dex will operate as an alternative to its existing centralized exchanges, rather than as a replacement. Binance draws revenue from over-the-counter (OTC) trading, trading fees on its platform and via BNB. Eventually, the Dex could augment that monetization as Binance will gain a share of network fees when its nodes are used in transactions on the Dex. Likewise, increased usage of the Dex and Binance Chain could raise the value of BNB — which has been on an incredible run this year, outpacing Bitcoin itself. Valued at $6.02 on January 1, BNB broke $25 last week. Today, the price is $24.20, according to data from Coinmarketcap.com, and it remains to be seen how these two developments will impact it. Note: The original version of this article has been updated to reflect that purchased Bitcoin can now be moved out of the Binance Singapore exchange. The author owns a small amount of cryptocurrency. Enough to gain an understanding, not enough to change a life. Ola, Uber’s key rival in India, is doubling down on electric vehicles after it span out a dedicated business, which has pulled in $56 million in early funding. The unit is named Ola Electric Mobility and it is described as being an independent business that’s backed by Ola. TechCrunch understands Ola provided founding capital, and it has now been joined by a series of investors who have pumped Rs. 400 crore ($56 million) into Ola Electric. Notably, those backers include Tiger Global and Matrix India — two firms that were early investors in Ola itself. While automotive companies and ride-hailing services in the U.S. are focused on bringing autonomous vehicles to the streets, India — like other parts of Asia — is more challenging thanks to diverse geographies, more sparse mapping and other factors. In India, companies have instead flocked to electric. The government had previously voiced its intention to make 30 percent of vehicles electric by 2030, but it has not formally introduced a policy to guide that initiative. 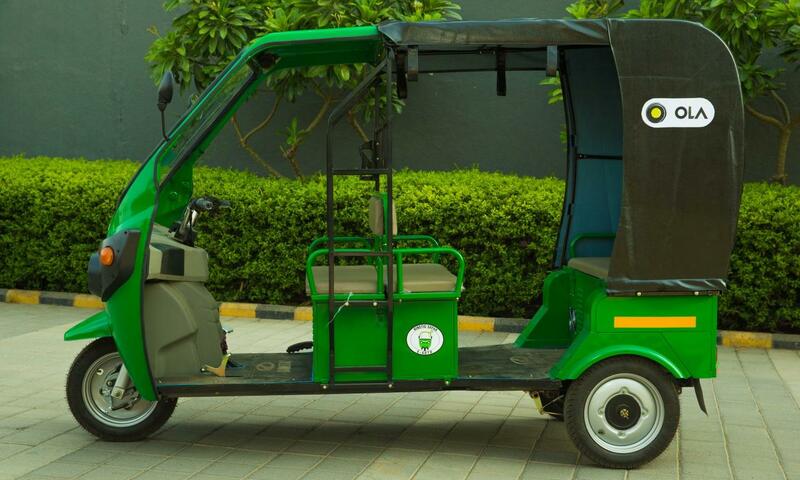 Ola has taken steps to electrify its fleet — it pledged last year to add 10,000 electric rickshaws to its fleet and has conducted other pilots with the goal of offering one million EVs by 2022 — but the challenge is such that it has spun out Ola Electric to go deeper into EVs. That means that Ola Electric won’t just be concerned with vehicles, it has a far wider remit. The new company has pledged to focus on areas that include charging solutions, EV batteries, and developing viable infrastructure that allows commercial EVs to operate at scale, according to an announcement. In other words, the challenge of developing electric vehicles goes beyond being a ‘ride-hailing problem’ and that is why Ola Electric has been formed and is being capitalized independently of Ola. Its leadership is also wholly separate. Ola Electric is led by Ola executives Anand Shah and Ankit Jain — who led Ola’s connected car platform strategy — and the team includes former executives from carmakers such as BMW. Already, it said it has partnered with “several” OEMs and battery makers and it “intends to work closely with the automotive industry to create seamless solutions for electric vehicle operations.” Indeed, that connected car play — Ola Play — likely already gives it warm leads to chase. “At Ola Electric, our mission is to enable sustainable mobility for everyone. India can leapfrog problems of pollution and energy security by moving to electric mobility, create millions of new jobs and economic opportunity, and lead the world,” Ola CEO and co-founder Bhavish Aggarwal said in a statement. “The first problem to solve in electric mobility is charging: users need a dependable, convenient, and affordable replacement for the petrol pump. By making electric easy for commercial vehicles that deliver a disproportionate share of kilometers traveled, we can jumpstart the electric vehicle revolution,” added Anand Shah, whose job title is listed as head of Ola Electric Mobility. The new business spinout comes as Ola continues to raise new capital from investors. Last month, Flipkart co-founder Sachin Bansal invested $92 million into the ongoing Series J round that is likely to exceed $1 billion and would value Ola at around $6 billion. Existing backer Steadview Capital earlier committed $75 million but there’s plenty more in development. A filing — first noted by paper.vc — shows that India’s Competition Commission approved a request for a Temasek-affiliated investment vehicle’s proposed acquisition of seven percent of Ola. In addition, SoftBank offered a term sheet for a prospective $1 billion investment last month, TechCrunch understands from an industry source. Ola is backed by the likes of SoftBank, Tencent, Sequoia India, Matrix, DST Global and Didi Chuxing. It has raised some $3.5 billion to date, according to data from Crunchbase. SME lending was a hot topic in Southeast Asia last year, and companies continue to attract investor dollars in 2019. The latest to pull in capital of its own is Singapore-based Validus Capital, which today announced a SG$20.5 million (US$15.2 million) Series B that’ll go towards regional expansion. Founded in 2015, Validus is focused on growth capital among SMEs with an average loan of SG$70,000 (US$52,000) in Singapore. Its P2P lending platform pairs SMEs with individual and institutional lenders and it has paid out SG$180 million (US$134 million) in loans since acquiring its license in December 2017. Validus works with an insurance firm to underwrite its loans. The company goes after “brick and mortar SMEs, such as guard supply or service companies that do not have collateral… or companies in the construction sector where cashflow becomes a problem as they grow,” Validus co-founder and executive chairman Vikas Nahata told TechCrunch. That approach is in contrast to others, which go over micro-loan type enterprises, such as small businesses or sole merchants using e-commerce platforms. Nahata said Validus uses a cluster model, which includes partnerships with procurement platforms, to tap SMEs at the point that they need capital, for example, when they have landed a big contract or major order. This new round of funding is led by Dutch development bank FMO — which is making its first direct investment in Asia through this deal — with participation from Taiwan’s Cathay Financial Holdings, Vietnam’s VinaCapital Ventures, AddVentures from Siam Cement Group in Thailand and Singapore-based VCs Openspace Ventures and (returning backer) Vertex, which is backed by sovereign fund Temasek. The company previously raised a $3 million Series A in 2017. Nahata, who operates the business alongside fellow co-founder and CEO Ajit Raikar, said the goal is to expand to Indonesia by Q2 and Vietnam later this year. Already, the company has a team of nearly 20 in Indonesia’s capital Jakarta, that’s likely to double as the business kicks off once it is awarded the requisite license it is waiting on. The capital will also go towards developing technology. That includes the Valdius credit risk algorithm, as well as APIs to help work more closely with third-party services, particularly around aggregating data. Nahata said that, typically, Validus asks for as much data and signs of growth that applicants can provide. So that’s information such as invoices, contracts and cash flow signals. It’ll also map how companies work with large corporates as an endorsement. In Southeast Asia, however, and particularly outside of Singapore, the reality is that credit is not a digital-only business. A retail presence, including partners with banks, offline touch points sales, are wholly necessary for growth. While he said that word of mouth is a major driver — while a 90 percent return rate is impressive — Nahata said a mixture of on- and offline is crucial. “The last mile requires touch points but our objective is that origination should be tech-orientated,” he said. Other SME lenders in Southeast Asia include Funding Societies, Aspire Capital, First Circle and Finaxar. Vynn Capital, a new entrant to Southeast Asia’s startup ecosystem, is gearing up to close its maiden fund after it landed an undisclosed sum from Malaysia Venture Capital Management Bhd (MAVCAP) as one of its anchor LPs. Founded by former Gobi Ventures VC Victor Chua and Singaporean investor Darren Chua (no relation) one year ago, Kuala Lumpur-based Vynn is targeting a $40 million fund for Southeast Asia. The firm has already made four investments and, on the LP side, gone after traditional businesses and Southeast Asia’s family corporations. Landing MAVCAP — which is Malaysia’s largest investor has backed VC funds including Gobi — is a major coup for a debut fund. Anas said the approach is to be very hands-off, MAVCAP has various other fund investments, but he reiterated that there may be specific data or insight that the organization looks to glean. Southeast Asia is emerging from the shadows of China and India to become a target market for startups and, by extension, the investors who write the checks to finance them. Beyond a cumulative population of over 600 million people, the region’s ‘digital economy’ is tipped to grow to $240 billion by 2025 from $31 million in 2015, according to a report from Google and Singapore sovereign fund Temasek. Some of the other investors vying for a slice of the opportunity include new funds from Openspace Ventures ($135 million), Indonesia-focused Intudo ($50 million), Qualgro ($100 million) and Golden Gate Ventures ($100 million) and Sequoia India ($695 million).